Tucked away in a cosy nook of Colchester is a venue at the forefront of modern cuisine within the area. 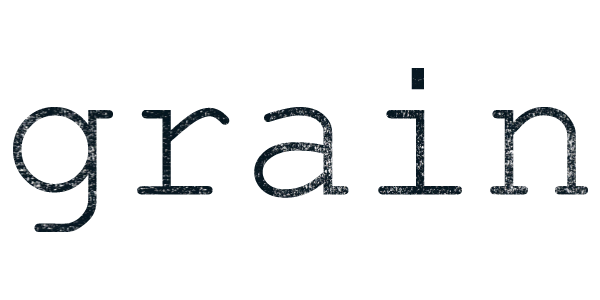 Grain offers something unrivalled and unique to all of its gleeful diners, serving small plates that are bursting with the most sumptuous flavours. Diners are invited to create their own tasting menu, categorised into four main sections: garden, water, land and sweet, which change with the seasons, but never compromise on quality. Fantastic fresh and flavoursome food! Simply excellent, charming staff, intimate atmosphere and exceptional food. We all loved the food. Great flavours. Lovely evening with friends. As ever, food was delicious with great wines accompanying it. Friendly staff and excellent service. Thank you. Had a lovely meal here, have heard so many good comments and we were not disappointed. From the moment we entered the restaurant we were looked after by the front of house staff. I loved the fact that all courses were on small plates so you could enjoy each one without being too full. The food was well presented  and tasted amazing with lots of different flavours. Cant wait to  book again. It was the first time we had been to Grain and we had an excellent meal. The food was top quality - we both said that we have eaten at Michelin star restaurants where we haven't enjoyed the food as much! The small plate/create your own taster menu is a novel and really good idea. I though the service was good considering someone was off sick on the night. The only (minor) downside was when the restaurant got busy, it got really noisy and it was hard to have a conversation across the table. I think this is due to the wooden decor which gives the interior a stylish look but doesn't absorb the sound. 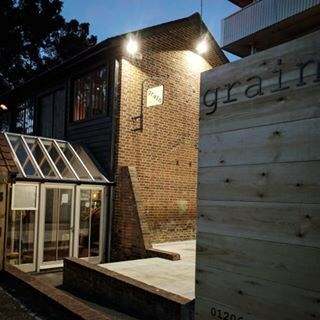 Overall, I think Grain is the best restaurant in Colchester. We enjoyed our visit. The food was interesting and beautifully cooked. Visually it was stunning. There was a great variety of soft drinks on offer, and the wine and beer selection was good. The setting is cosy and it was not noisy where we were. The service was very attentive and we will definitely rebook . Outstanding experience - food and service both excellent. Good choice of food in each section along would extensive wine list. Staff were knowledgeable, friendly and helpful. Cant wait to go back! A great dining experience from start to finish great food good wine and attentive staff, was slightly unsure of what to expect after reading some of the reviews on Tripadvisor but needn’t of worried a great restaurant giving a first class service!! Really enjoyed our 2nd visit to Grain- however where our table was situated  it was extremely noisy & conversation was challenging!! Best restaurant in Colchester by some distance, whether lunch or dinner, they keep me coming back again and again. A wonderfully unique way to enjoy very good food, particularly enjoyed going back through the menu to pick up “stragglers” but so many excellent dishes on offer made it very hard to choose! We eat here regularly and are always thrilled with everything! I cannot commend Grain highly enough for imagination, use of, and ingenius combinations of ingredients, innovative cooking techniques and flair. Menus change regularly and we always are spoiled for choice. It's a real culinary experience. The chefs never have an off evening, or get it wrong! Service is impeccable and staff are friendly and knowledgeable about the menu and wine list. The atmosphere is relaxed, but their standards never are! There's no where like it in Colchester for consistency of brilliance! The food is extraordinarily good! Took my Mum on Saturday lunchtime as an early mothers day treat. She is 91 and absolutely loved the small plate concept, having 3 courses and eating them all. Service was very good, attentive without being pushy. A very enjoyable time. Fantastic first visit to Grain. Loved the food and the friendly staff. What a gem in Colchester!